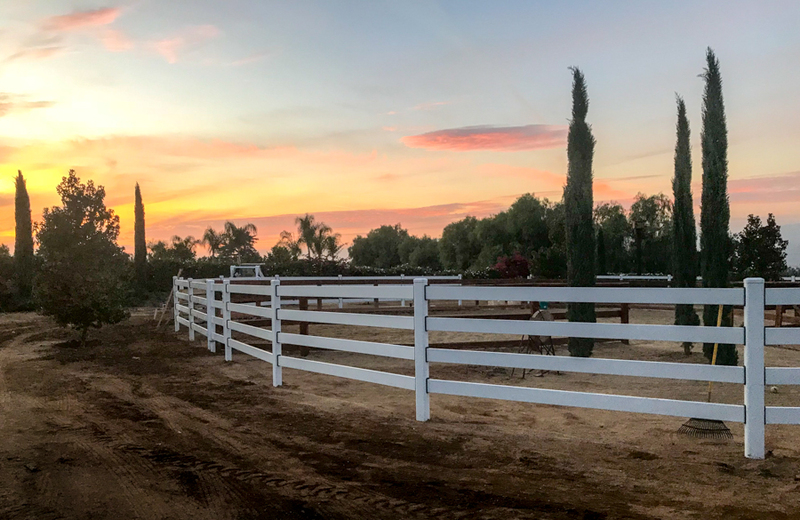 Beautiful California sunset on this new 4-rail white Steel Board fence install. 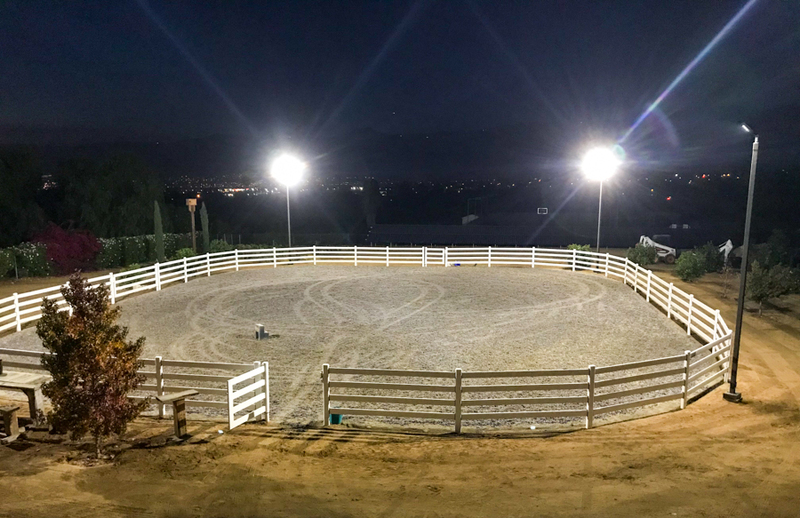 Lights shine bright over the new arena, right in the middle of the city of Escondido. Photos courtesy of Jim Malachowski. 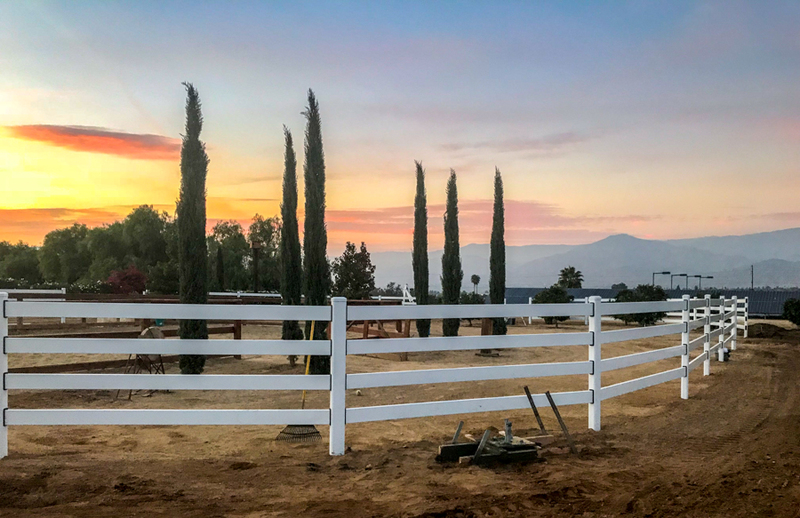 This entry was posted in Blog, New Install and tagged arena, california, Escondido, horse fence, landscape, mountains, photo, photos, scenic, steel, steel board, sunset, white fence. Bookmark the permalink.